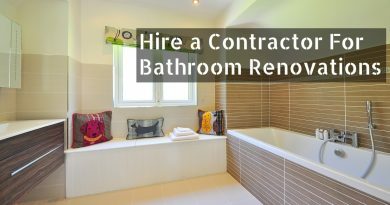 Ceramic tile cleaning is often seen as one of those undesirable and dirty house cleaning jobs that just has to done to keep your bathroom looking presentable. 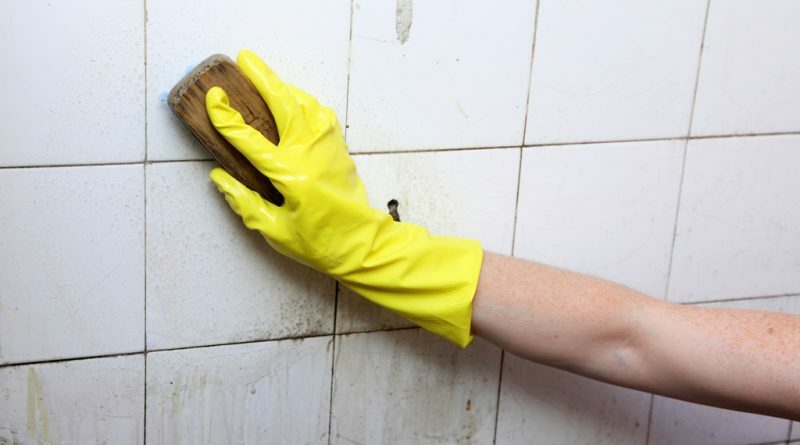 While removing dirt and scum from ceramic tiles does require some preparation and attention to details, it is not the difficult unglamorous task that some people make it out to be. With the right bathroom cleaning tools, tile cleaning products, and proper ceramic tile cleaning techniques, it is possible to get rid of impurities on your tile surface as well as eliminate or at the very least reduce even the toughest stains and surface imperfections. What many people fail to realize is that getting rid of grime on ceramic tiles also includes working closely with the grout lines between the tiles as well to keep your ceramic tiles sparkling and free from foreign matter like mold and mildew. Homeowners that do not make this important association often end up discoloring or even damaging their grout because they adopt a separate ceramic tile cleaning method that does not take the grout into consideration or vice-versa. Whether you are spring cleaning or just performing regular bathroom maintenance, to keep your bathroom looking neat and orderly, you must understand the art of ceramic tile cleaning and adopt the following useful tips to ensure that both your grout and ceramic tiles are squeaky clean. To keep your ceramic tiles free from dirt, stains or impurities, water, and diluted bleach can be used in both ceramic tile cleaning and also the grout cleaning process without compromising either of the two. To use water and bleach to clean your ceramic tiles, you will need to dilute the bleach by adding at least two times the amount of water. Please note, bleach is a corrosive substance, and as such it will be necessary to use rubber gloves and wear clothing that you won’t mind getting discolored or blemished from the bleach when engaging in ceramic tile cleaning. Dirt and grime are easy to build up on ceramic tiles, and this is why it may be necessary to sweep your ceramic tile floors on a regular basis. The broom that you use in ceramic tile cleaning should be soft and not have any sharp edges or coarse surface features to effectively remove the dirt from your ceramic tile floor without scuffing the surface. A dry mop can also be used to make ceramic tile clean. A blunt tool such as a wooden spoon can be used to scrub away compacted dirt that has lodged itself in your ceramic tile grout lines. The foreign matter should be briefly soaked first to loosen the material. You should take care not to rub the ceramic tiles and grout too hard with this instrument so as to ensure that the grout is not damaged in the process while you are using your ceramic tile cleaner. Remember, it is extremely important that you do not rush the process because you don’t want to accidentally gouge or scratch the surface of your ceramic tile using these tile cleaning tips. The commercial ceramic cleaning products on the market can also be used to leave your ceramic tiles clean as well and free from imperfections or blemishes. These tile cleaners and care products can range from mild cleaning solutions to tough cleaning chemical concoctions for built-up dirt and stains that are hard to remove. A good feature to look for in commercial ceramic tile cleaning products is the products ability to also stave-off the build-up of mildew so that your grout lines and ceramic tiles do not become discolored over time. Soap scum can be found on your ceramic tile shower walls, giving them an unsightly chalky appearance. This may require some extra scrubbing during ceramic tile cleaning to effectively remove the build-up of the extra oil and soap that are on your tiles. If this is not removed over time, the build-up will get thicker and thicker and eventually become harder and harder to remove. A mild solution of dishwashing detergent (Dawn breaks up grease and oil pretty good) with a soft sponge can do the job without the use of harsh chemicals. However, if mildew is also present, you may need to use a little bleach or other mildew removing product that is specially made for ceramic tile cleaning. You will find that areas with curves or obstructions such as soap dishes or even some corners are not so easy to maneuver around to clean and it may be necessary to use a long brush to make this possible. No matter how tempting it may be as s household cleaner, you should not use concentrated vinegar during ceramic tile cleaning due to the possibility of staining the tile. Most glossy ceramic tiles may not have this issue, but this will depend on whether they are non-vitreous, semi-vitreous or vitreous tiles. Glazed ceramic tiles have an outer coating that protects the tile from becoming stained during the tile cleaning process, and this also makes it harder for scum and dirt to cling to the surface. Unglazed or semi-glazed tiles, on the other hand, do not have or only have a thin layer of protection thereby increasing the risk of discoloration or staining and even scratching. If you are using unglazed ceramic tiles away for the designated wet areas around your bathtub, sink, and toilet, then ensure that you do not soak them when you are performing bathroom maintenance such as ceramic tile cleaning. This is because unglazed tile is porous and you can have a water stain that is difficult to remove. You do not need a lot of water when you are doing ceramic tile cleaning, and as a result, a damp mop will be sufficient for your tile cleaning purposes to ensure your bathroom has a clean bill of health.